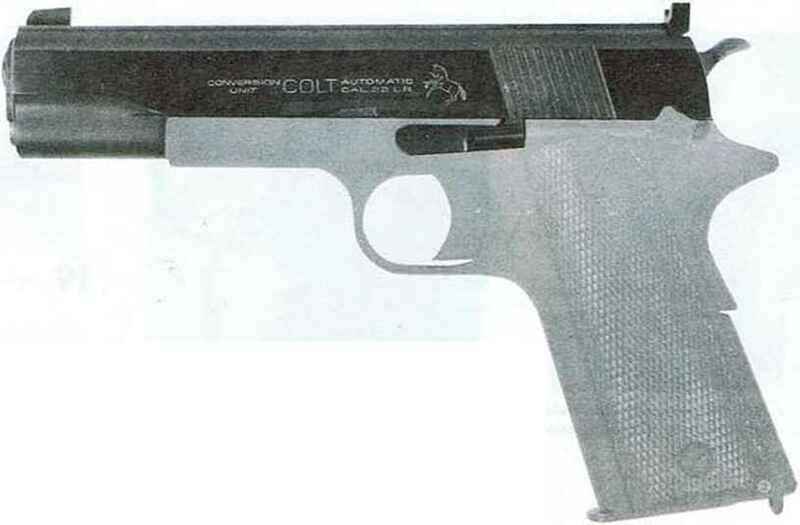 In 1938 the Colt firm introduced their cal. .22 long rifle conversion unit for the M1911 cal. .45 ACP pistol. While the method of converting a cal. .45 pistol to cal. .22 was not revolutionary, the method of attaining a recoil effect similar to that developed by the .45 ACP cartridge was. The Williams floating chamber was the answer. The floating chamber is in effect a movable piston attached to the end of the barrel. 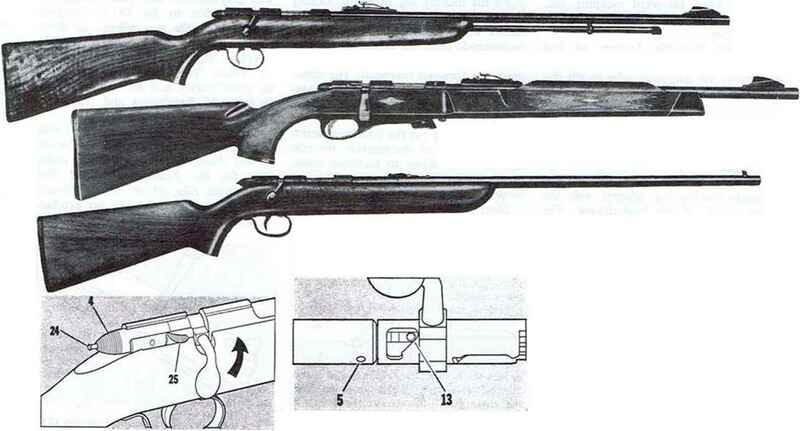 When the .22 cartridge is fired, some of the gases are trapped between the barrel and the movable chamber. The gases thrust the chamber back with enough force to operate the slide and thus closely duplicate the recoil of the cal. .45 cartridge. The Colt conversion unit has been modernized from time to time. The original unit was marked "Colt Service Model Conversion" with "Ace" inside of a triangle. A later model had the Colt rampant and the words 4,.22-.45 Conversion" added to the slide. 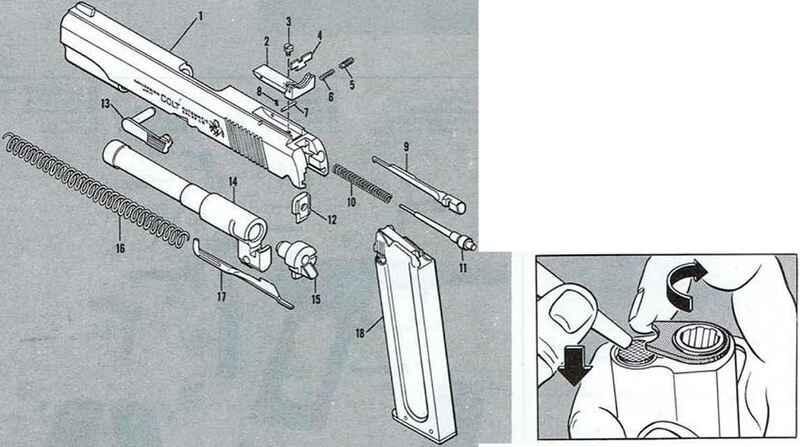 This model eliminated the spring wire on the barrel that retained the ejector. The latest model illustrated here has a Micro adjustable rear sight and the serrations on the slide are slanted. The current .22 conversion unit can be installed on any Model 1911-type pistol as well as the Super .38. But this unit cannot be used on the Colt Commander pistol. A .45-.22 conversion unit to convert the cal. .22 Service Ace to cal. .45 ACP was manufactured for a few years, but did not prove popular. It was dropped following World War II.